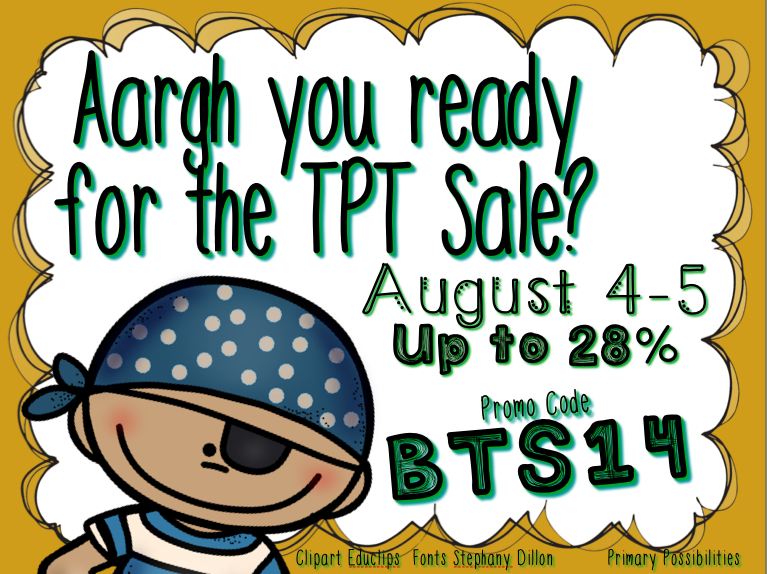 Primary Possibilities: Arrgh You Having a Sale? Arrgh You Having a Sale? Arrgh you having a Sale? If so, link up your store!! Comment below what you have in your cart. This is such a GREAT idea! Thank you so much for helping me get my name out there a bit! I appreciate it! Thank you for the great link-up! :) I already have a ton of stuff in my cart...splurging on the third grade whole-year math homework pack from One Stop Teacher Stop, as well as a few great sets of task cards from Teaching With a Mountain View! Thanks so much for the link up! As a newbie, this is the perfect way to get my name out there. There are way too many things in my shopping cart right now! I have to narrow down my selection still. Super Savings! Educents Printable Bundle! Rhyme to Read with a Giveaway!!! Tech for Teachers: iPad Mini Giveaway!